Anders grew up with dogs…..a dachshund, an Irish setter, and eventually, his first own dog, a Belgian Shepherd, Groenendael. Originally, he was going to buy a black German shepherd, but fate intervened. His first dog, Lolo, was a female who liked to choose her own mates ☺ She had three litters over the years, all mixed breeds!. 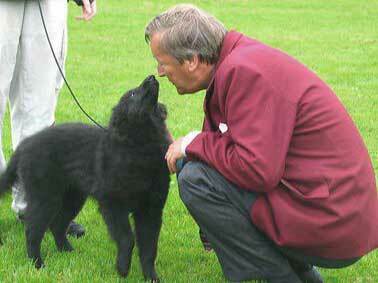 His next Groenendael was Femando’s Queen and she inspired his interest for breeding. 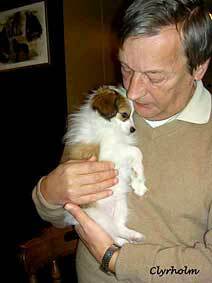 Over the years we imported many dogs, but it was the very last dog, Greco Comme un Reve Noir, who stole Anders’ heart! He was Anders “soul mate”, he comforted Anders when he was sad, he was glad when Anders was glad, he was always with Anders in the car…. and he sensed with his whole body, when Anders took his last breath. Anders didn’t enjoy handling dogs in the ring himself, but with Greco it was never a problem. Anders was so proud when he showed Greco, and it was an exciting experience each time just to stand there with the most beautiful dog he had ever known. 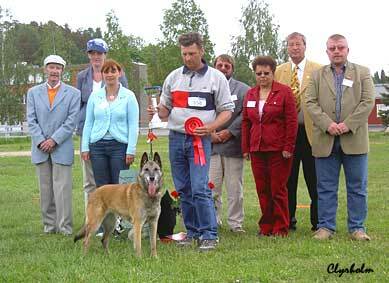 Another dog, who came as close to perfection as possible, was Tuulilaukan Iida, a Finnish Malinois, who he had the great pleasure of judging twice. On the last occasion, he awarded her Best in Show at the Finnish Specialty in 2005, when she was 11 years old! He spoke often about her, and she was his standard whenever the word “Malinois” was mentioned. Anders had many hobbies during his life. He played the drums in a band during the 50’s, 60’s, and 70’s. He loved to play tennis and golf. He was also an airline pilot and operated his own charter flight company. If you wanted to talk about jazz, flying or dogs anatomy, Anders could go on forever! He had much to tell those willing to listen. 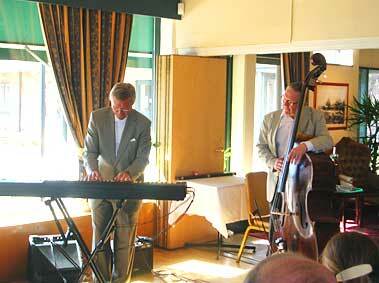 He also played bridge, and his partners were his closest friends from childhood, who stayed close to him to the end. He was, as he said of himself, “a very kind full-blooded egoist” and that is a perfect description of Anders. He loved life, and enjoyed it to the fullest. His motto was always that “everything will work out”, and they always did, except at the bitter end. Two things were very typical for Anders: Coca-Cola (the real thing!!) and cigarettes. Anders smoked his entire life. All his closest friends and all his dog acquaintances smoked in the beginning. He believed it was his right; and never could understand why his friends stopped smoking one after the other. He loved to travel to Holland and England where everyone smoked, and he was astonished when it became difficult to find a “smoking area” even in those countries. He appreciated and really enjoyed smoking. It was a “lifestyle” for him, even though he understood, and accepted that it was the cause of his death. He stopped smoking in November, 2006, after he was diagnosed with lung cancer. But he still craved a cigarette only two days before he passed way. I met Anders in 1983. We were introduced by Lizz Genborn at the Swedish Breed Specialty, and since then, we have shared our life in good times and bad times. Anders was a real gentleman to everyone he met and also to me. He was always kind and attentive to me. He always respected my wishes, even if he had an entirely different viewpoint. He always defended and supported me, even when he believed I was wrong. “Emancipation” was a concept he never believed in. For Anders it was normal to hold open the door, pull out a chair, or light a cigarette for a woman. He respected the traditional woman’s role, and could never understand why I, as a woman, would change a light bulb, or use a hammer and nails to build a wooden whelping box for our litters. On the other hand, he was not afraid to clean or cook. In fact, cooking was one of his favorite activities; and it was actually Anders who did most of the household chores at home. He took care of the household and I took care of the dogs. A perfect combination for me! The only chores he really disliked were ironing shirts and sewing buttons and he tried to convince me to do this during our 24 years together, but I refused! 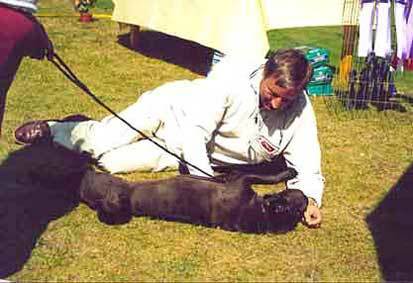 Anders studied to become a dog judge in 1995 and eventually was authorized to judge 45 breeds. He was always appreciated for his warm and friendly behavior to both dogs and their owners. Many times his colleagues and show organizers held their hands over their eyes, when Anders went down on his knees to open a dog’s mouth to count the teeth, and check the bite for breeds that other judges hesitated to approach because of the breed’s bad reputation. Anders could absolutely not understand that. In his world all dogs were kind. “If that wasn’t so, I’m sure the owners would never enter them into the show ring”, he used to say. He was a very popular judge of puppies at their first shows. He gave so much time and love to every puppy that the show organizers often encouraged him to move more quickly, so he could finish before dark. He judged in Sweden, Denmark, Finland, Norway, Belgium, Czech Republic, USA, England, Ireland, Australia, Portugal, and Spain. 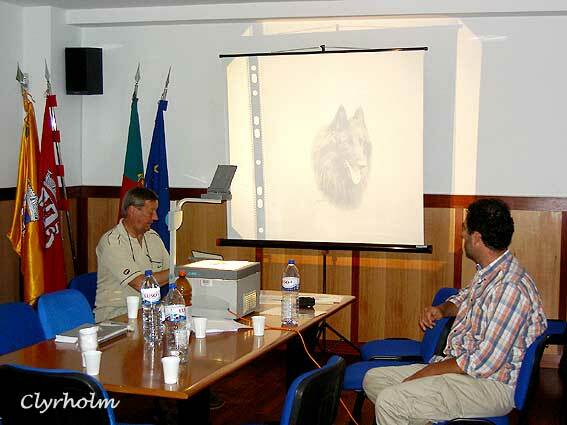 He judged the Belgian Shepherd breed specialties in Norway 1997, England and Belgium 1998, USA 2000, Czech Republic and Australia 2002, Ireland and Denmark 2004, Czech Republic, Finland, England, and Portugal 2005, and Spain in 2006. Anders´ dream was to judge at the Dutch specialty. 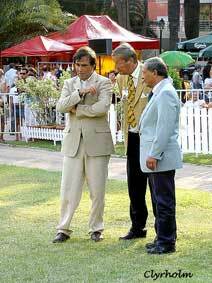 He was, in fact, invited to judge in 2008, but when the invitation came, he was already too sick and had to decline. He was a member of the Breeders’ Club nearly from the beginning, and sat on the Board for many terms. He was also a board member in the Working Dog Club for many years. He was one of a group responsible for the exterior appearance and created a common Exterior Examination Record Book for all the working (SBK-) breeds together. 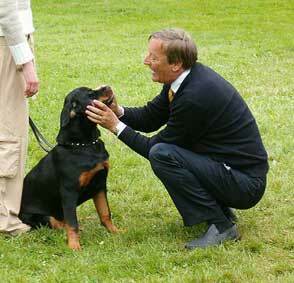 He wrote a breed compendium for the judges’ conference in 1997 at the request of the Swedish organization. 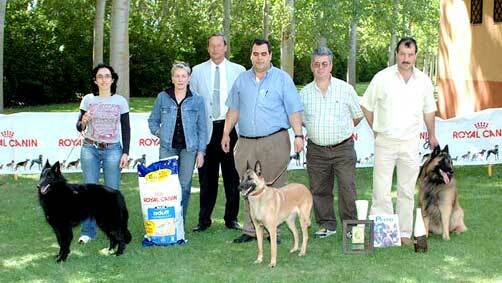 It later became the basis for the breeder education within the club. When the breed standards changed, he wrote a new compendium in 2003, which was adopted as the official breed compendium for Belgian Sheepdogs by clubs in America, Australia, Great Britain, Norway, Holland, and Finland. The compendiums are written with his personal commentary and opinions, and is illustrated with beautiful pictures taken by Riitta Tjörneryd. 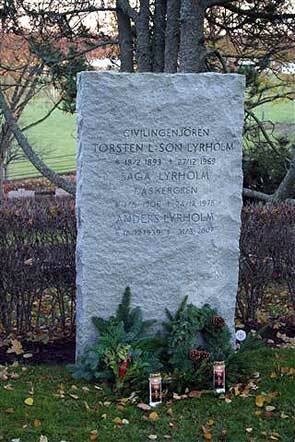 Anders was very interested in anatomy, and gave lectures both in Sweden and around the world. 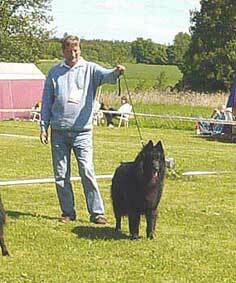 Many owners thought that Anders wanted an extreme type of Belgian sheepdog with a long, narrow head, because he was a specialty judge. But the truth is that he much preferred a dog with good angle proportions front and back, a solid body and beautiful movements, more than a well proportioned head. He loved judging German Shepherds (“the German Shepherd way”) and had long discussions with Shepherd owners. It enriched his life, and he had many friends also within this breed. Anders was loved by many, and always made certain that his friends were well taken care of. He was always generous and shared with everyone what he had, whether it was knowledge, money, or just good times. The last month Anders spoke with all his friends around the world (and there were many!! 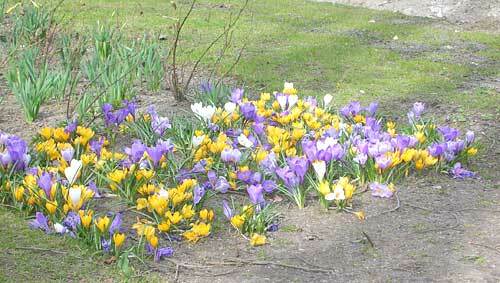 ), and made them aware that he fully understood the gravity of his illness and his situation. Anders left this world proud and happy and with his head held high, despite everything. He had a passion for life, and fulfilled his dreams until the end, when he no longer had the strength. He wished to live one more summer, and was looking forward to giving a major anatomy lecture in the fall. 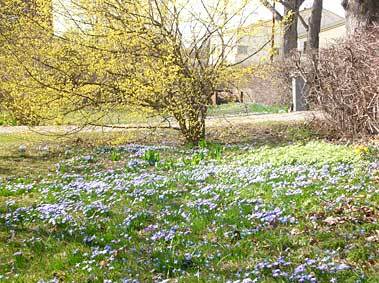 The last week of Anders’ life, spring arrived unexpectedly in Sweden, with warm weather and the birds chirping. The last four days we sat together with friends and dogs in the sunny garden outside the Hospice Home and talked, and talked, and talked. We have never, ever talked as much as we did during those days. During those last 24 hours, our friends Calle and Helena took care of our dogs, and Lizz took care of Carro’s dogs. Later, Helena told me what had happened early Saturday morning. Our dogs, who had been sleeping quietly all night, suddenly began to stir and get very anxious and started running up and down the stairs aimlessly. It didn’t seem that they needed to go out; they just seemed stressed and upset. Helena told the dogs to “go lie down” with no result, so finally she opened the door and let them out in the yard. Helena was annoyed because it was early in the morning, and she glanced at the clock. It was 7 AM, the same instant, that Anders took his last breath. 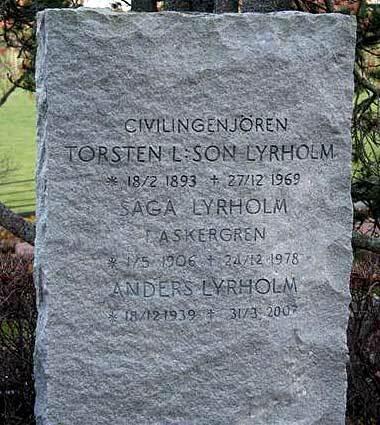 A memorial service for Anders Lyrholm was held, in April 14, in Djursholm, a suburb north of Stockholm, where he was born in 1939. More than 90 people came to honor his memory. The memorial began with Gittan sharing some childhood stories about her brother followed by a toast to Anders with …what else, ! There were the girls from Skåne: Kerstin O, Kerstin N and Marie, there were Sabina and Macke from Åland and Roger and Janice from England, there were Peter Rimsby from SBK and Meta, Kerstin, Bosse, Yvonne, Åsa, and Sune from RUS. 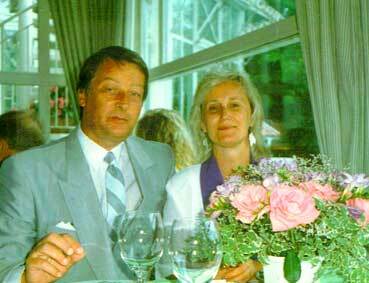 There were also my wonderful children, Carro, and Micke (with his fiancé Erika) and their father John, plus my parents. 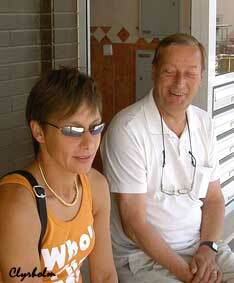 Of course, Anders’ sisters Gittan and Inga were there and all their family and relatives. 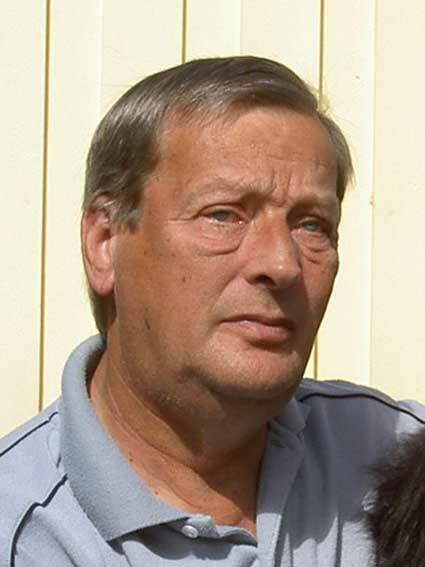 plus Gunnar Vrethammar and Staffan Ehrling. 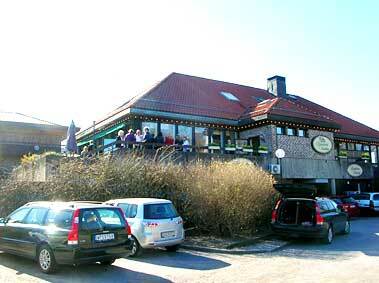 There were our "puppy" buyers from many years ago; and many, many other friends who wanted to say goodbye to Anders. There were several speeches, and it felt so good to hear that Anders, during his lifetime, and during his career as a dog judge, always received praise for nearly everything he did. He often received mail and telephone calls from appreciative people, who wanted to let him know what a terrific person he was. We often feel how unfortunate it is that “a person never heard this during their lifetime”, but that was not the case with Anders. He left us knowing that people liked him. 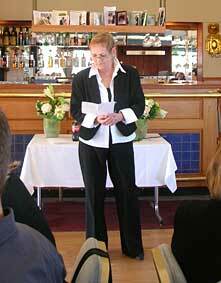 Kerstin Nilsson gave a speech on behalf of his friends from Skåne (southern Sweden) who knew Anders. Anders always enjoyed spending time in Skåne and was so appreciative for the hospitality he received there, including, naturally, Coca-Cola. 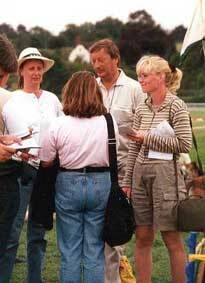 He often had the same two ring stewards when he judged in Skåne, Kerstin and Kerstin, and was always impressed by their professionalism . 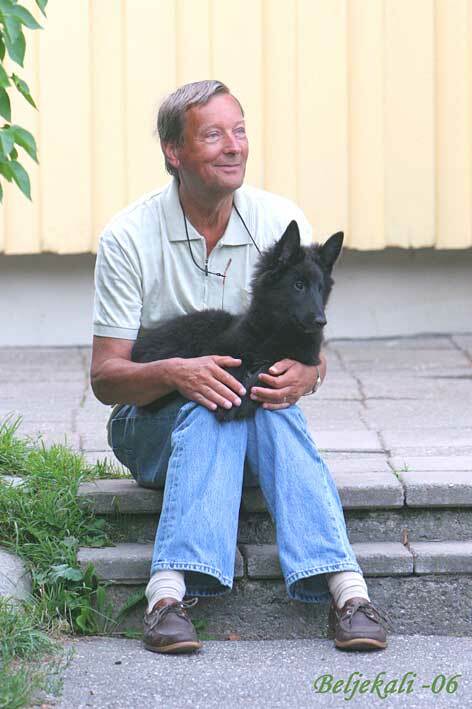 Anders Lyrholm, one of the most important people in the dog world, has been taken from us and we wonder how life will ever be the same again? 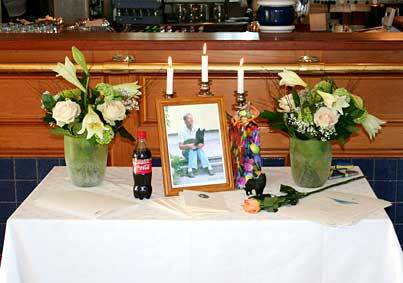 Anders, you had an exceptional personality, always willing to share your extensive knowledge with us. Your genuine humility, warmth, and natural friendliness, were distinct characteristics of your personality. Your great passion for the Belgian Shephard has influenced the future, both through the puppies born at Kennel A-Te-Ell, and the valuable compendiums that you wrote. 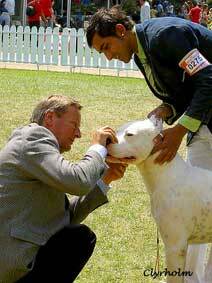 In addition, you were much sought after as a lecturer and a judge by dog show organizers and judges around the world. 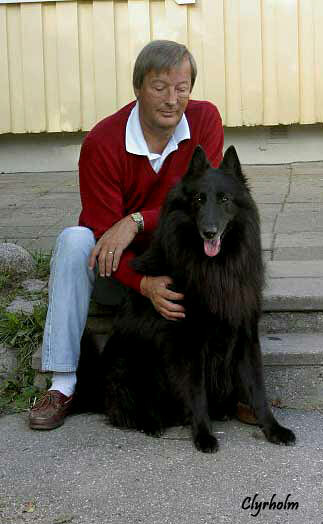 Anyone who has ever owned, or presently owns, a Belgian Shepherd knows the name Anders Lyrholm. The pictures, in our mind’s eye, of Anders in the dog ring will remain forever. One of these images of Anders is when he gets down on his knees in the middle of an ongoing official judging, or even laying prone on the ground, in an attempt to win the trust of a cautious or suspicious dog. Anders, you always succeeded with your unique approach, and were truly admired by all the two-legged as well as four-legged friends, who met you. In the dog show world, which you enjoyed so much, you were always the Rock of Gibraltar for both the dogs and their owners. We are saddened and can´t bear the thought that we will never see you in the show ring again. There are so many of us that associate the Belgian Shepherd with your name. You were always helpful and extremely engaged when we had questions of any kind. Your patience was inexhaustible, and when we did not understand something, you would explain and show us, over and over again, until we did. And you always shared your knowledge at a grassroots level that we came to love and admire. Your generosity and helpfulness were two qualities that were unlimited. It made no difference if you met a first time dog owner, or a veteran breeder colleague. You greeted everyone with the same polite and respectful manner. It is so difficult with everyday words to fully communicate how much you meant to so many of us. Our loss is overwhelming and irrevocable, when we now say our final farewell to you. We miss you, not only for all your knowledge, but also for the wonderful and unforgettable person you were. 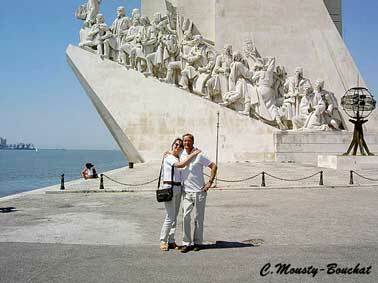 Our warmest sympathies are with your wife and best friend, Carin, and with all those close to you. Even in the middle of our sorrow, it still feels like you will continue to be with us. Everything you have achieved and worked for will always exist. And we will always have our wonderful memories. We are grateful to have had the privilege of knowing you. 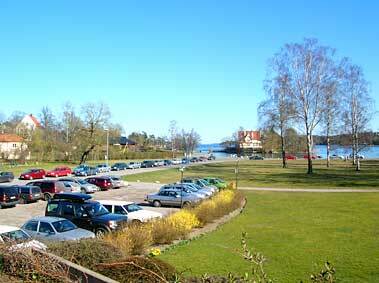 Thank you, all my friends, for the support you have given us during Anders’ illness. It has been an extremely difficult time for both of us, and also for my daughter Carro, who was at our side the entire time. Thank you to all our friends who were there when we needed you. 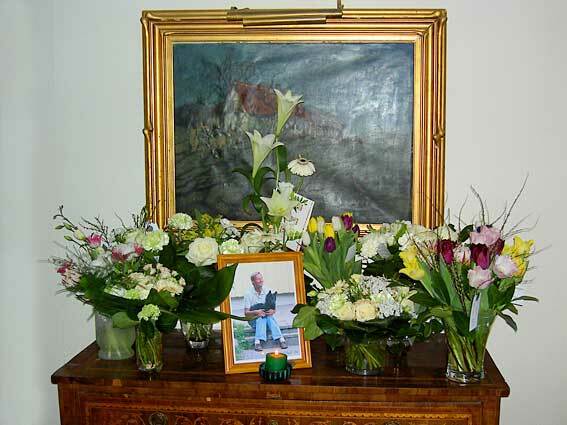 Thanks for all the fantastic flowers, the warm words in the guest book, Carro’s “blogg”, and all your comforting Emails.